Coaching Long Jump Technique - Hang or Hitch-kick? When you think of high jump, no one uses the straddle roll anymore. In the long jump, most Elite men (if not all) use the hitch kick. The Hang technique is still commonly used in women. If you want some great examples of the hitch-kick, go to the previous articles on Irving Saladino or Ivan Pedroso 9 meter Long Jumps. When was the last time you saw a world class man use the Hang technique in the long jump? I say USSR’s Robert Emmiyan from the late 1980’s. Look at the height off the board! I’ll bet his vertical jump is over 48 inches. It wasn’t until the 1991 World Championships when Mike Powell broke the World record in the long jump in a great dual with Carl Lewis. I’ve seen too many high school and College kids try to hitch kick or “run in the air” that resembles a Dayron Robles shuffle in between hurdle steps. The Hang or Hitch-kick technique serves three purposes: (1) balance, (2) prevent forward rotation once you leave the board, and (3) preparing for an optimal landing position. That’s it. “Running in the air”, without ground contact, does nothing to increase your jump. Nothing can be done to change the flight path once the foot has left the board. You will need a lot of height off the board and a lot of air time to do a PROPER one-and-a-half stride or two-and-a-half stride hitch kick. So if you feel pressured to change technique, focus on your runway speed and height off the board. After all, the long jump is simply the 17 step sprint with a high jump at the end of the board! 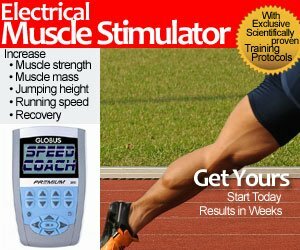 Athleticscoaching.ca has a great 6 page article on CHARACTERISTICS OF THE LONG JUMP TECHNIQUE (PDF File) by Dr. Heinz Weidner, Dr. Harmut Dickwach. The authors from the German Democratic Republic discuss the run-up, take-off, flight and landing phases in a model target technique of the long jump and list some performance prerequisites for the event. The article is a translated summary of the text that originally appeared in Der Leichtathlet, No.27, July 1989. Re-printed with permission from Modern Athlete and Coach. Easy to describe the style of long jumps, but how do you do what the prescribe. One minor correction, you can alter the flight path and decrease the length of the jump but not to increase the length of the jump. I didn’t read if they did a correlation between length of last two steps and style of jump? That may be the mismatch in optimum long jump performance. A lot of people have 22 strides for approach by don’t come close to having a 42 to 45 m approach length. Sometimes people read these articles and try to do what is prescribe but fail. @Adarian – good point. There’s nothing you can do to improve after take-off, but lots of things you can do to degrade performance. Just like anything else on race day. This website can help me. I do not have the jumpers I work with run full jumps in practice because of this thinking. I never talk about what to do when they are in the air, except to prepare for the entry into the sand. And even with that, not until they are on their decent. I am a firm believer inthe take off phase. i use a spring board into the HJ pit to work on this. It forces them to push down on the board, and pull the foot through in a proper position (not in front of the knee). It will force the hip joint to rotate in a proper position. With five steps onto the spring board, it also simulates the amount of time they will be in the air. It sets the timing of when they need to have their legs into a proper position to land, and “pull” their bodies through the entry. This article is absolutely correct. I use the thinking a former coach told me. Once a bullet leaves the gun, nothing other than an opposing object, can change where the slug will land. In long jump, once in the air, all you can do is prepare for the entry. That is another issue. I’m a not athlete, but surely your body shape can increase or decrease air resistance? Or is this effect so negligible in long jump that it doesn’t matter? Obviously when a bullet leaves a gun it cannot change shape, unlike an athlete once they take off. Interesting when Chris Boardman said during the olympics that in cycling 80% of the effort expended was just pushing air out the way.